If you have followed our journey, you are part of Cuca’s family already, but for those of you who just found out about us and are lazy to read all previous posts, I summarize them: after years in Singapore working way too much in separate jobs, Kevin (a Canadian) and I (a Spaniard) decided it was time to work even harder but together towards a common goal. We had the vision of building a restaurant where amazing food were affordable and served in a casual environment. The concept was simple: tapas, cocktails and desserts made with local ingredients and cooked in a western style. 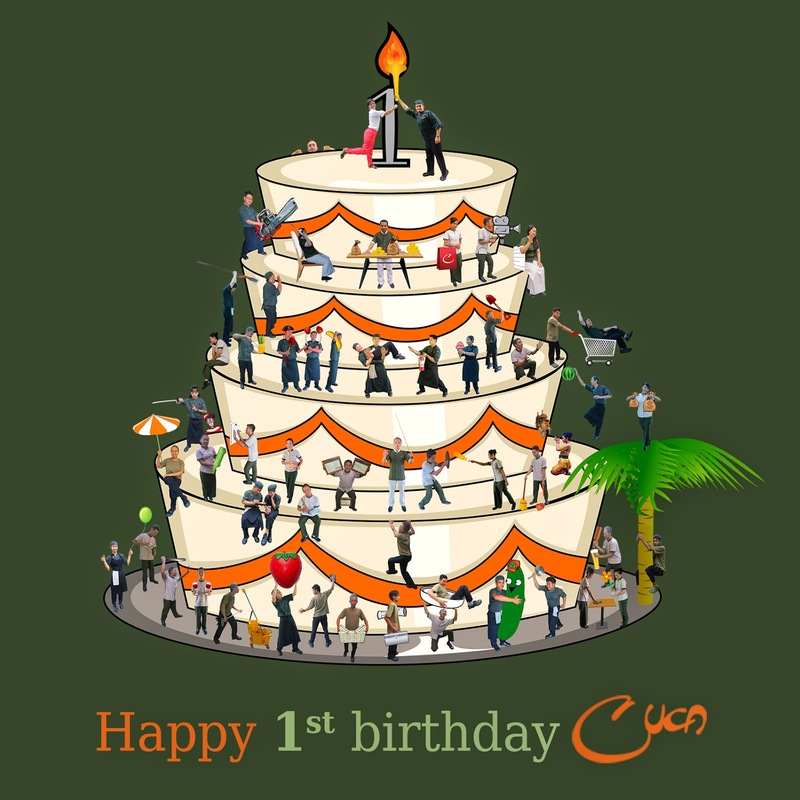 On July 23rd 2013 Cuca opened its doors. Adrenaline and coffee saved most of our days back then. The challenge was no longer the building but its people: 60 employees from all over Indonesia, each with a different background and a unique set of beliefs and expectations. They only had in common the same enchanting smile that convinced us to hire them and although we have been greatly disappointed by some of those smiles, new ones have come to our rescue and every day make us better. With $0 advertising investment since we opened, we have been relying exclusively on our product and your word for it. The first few weeks were scary and an empty Cuca is still a recurring nightmare in our short slept nights, but word of mouth is all the magic we needed. Even though and despite being quite busy most of the time, we still stand on our entrance welcoming new and returning guests as if each of you were our first. How could we take for granted the blessing of having all of you? Well, Cuca is now turning 1 and this first year is being a roller coaster of events and emotions. Any regular day is loaded with tons of crisis, laughs, tears, surprises, encounters and goodbyes. We know this is only the beginning and that consistency is a critical test in the long term. We know we cannot lower our guard because a restaurant is as good as its last meal, but we also now know that Cuca´s miracle is possible and this is much more than we knew 2 years ago! We try to learn as much as we can from all of you while remaining true to ourselves. Thank you for this year and let’s toast to many more to come!